Information about Mount Zion has been asked for before, but a long time ago, not much came of it unless I missed something so I will try again. Does anyone know the detailed history of Mount Zion Please? 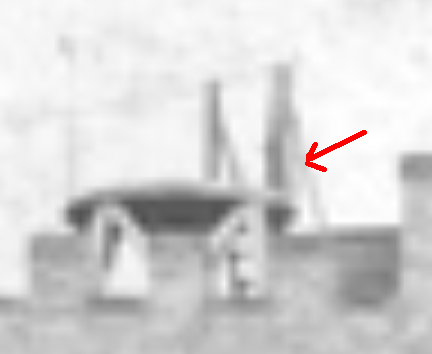 And perhaps an easier question, is that thing on the top of the tower just an early lightning conductor, if so someone may know why it is that shape? It wasn't there in later years. Probably a beacon for celebrations, as the location is visible for miles around. For the Diamond Jubilee in 1898 two bonfires were set up - at Mount Zion and Sky Edge - each 20 to 30 tons, 19 feet high, 20 feet in diameter, made of timber, tar barrels and 2 tons of coal. Another possibility is a cage for sightseers to stand safely with their telescope. Lincoln cathedral at a distance of 40 miles was visible. 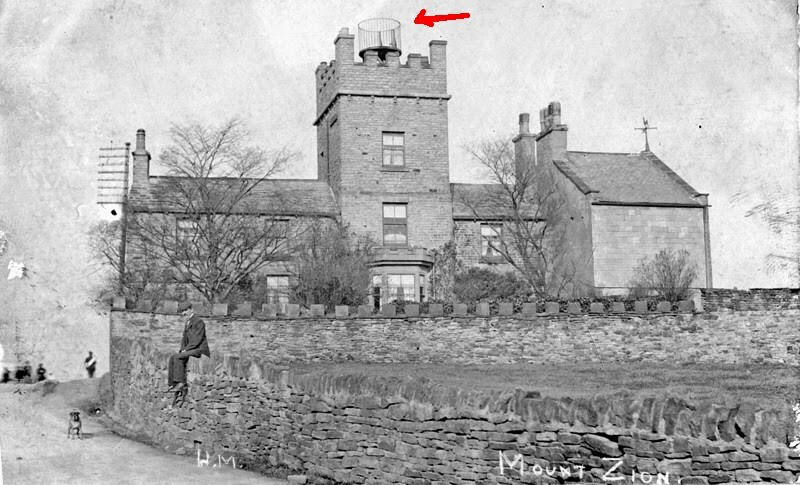 The building was previously called Cross Hill, (note Cross Lane still leads towards Crookes) but after alterations in 1865 which added the tower, was renamed Wesley Tower. Mr Howlden made this change in reference to his mother Ann Howlden's meeting with John Wesley. In 1782 Wesley was preaching in Norfolk Street Chapel, and on leaving he saw a little girl in the crowd, who he spoke with and gave a sixpence. She was Ann Howlden and she became a lifelong Methodist until her death in 1867.